The flying experience is a fast deteriorating one. Queues are longer, leg room shorter and unoccupied space, rarer than ever. Customer feedback will undoubtedly keep India’s airlines on their toes since they stand to lose revenue if their rankings go down. Aviation minister Suresh Prabhu recently launched ‘Air Sewa 2.0’, an upgraded version of the ministry’s internet portal that promises to make the registration of grievances easy and their redressal faster. Passengers will be able to quickly rank airlines based on the quality of services they provide, much like how Goodreads provides a framework for choosing books and TripAdvisor does for destinations and hotels. Customer feedback will undoubtedly keep India’s airlines on their toes since they stand to lose revenue if their rankings go down. The flying experience is a fast deteriorating one. Queues are longer, leg room shorter and unoccupied space, rarer than ever. Add to that service disruptions and bad weather, pretty much the norm. 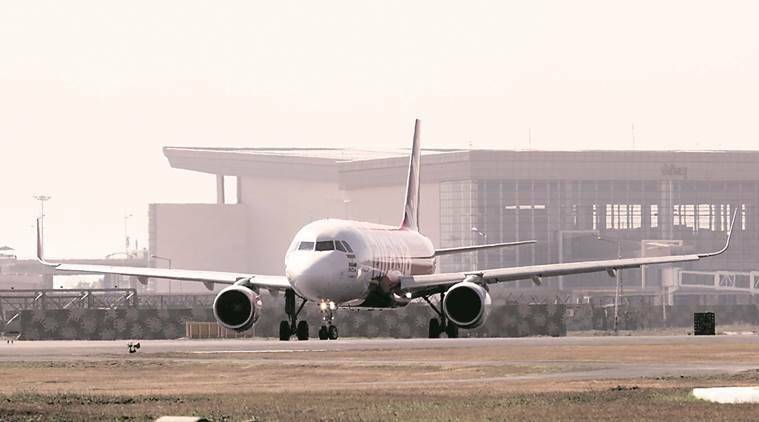 It will be interesting to see if any airline in India can hang on to a numero uno ranking because there are so many variables involved for a flight to be considered positively. For years now irate consumers have been venting on Twitter about everything from a bad doughnut to traffic jams. It’s the only pitfall of free speech, everyone’s entitled to an opinion no matter how ill considered. A frustrated customer having a bad day can show any business the proverbial middle finger by exaggerating about an incident online that may never have occurred the way they claimed it had. The fact is there is no reliable way to discern who’s correct in a particular situation but once it’s out there, right or wrong, the damage is done. The power has shifted entirely to the people, irrespective of their often clueless and whimsical ideas on how things should have played out. We live in a world where everybody is rating everybody, all the time. Just recently, I ticked an Uber driver off for blowing the horn on an empty road but gave him a 5-star rating because I have it on good authority, the more liberal you are with the stars, the better the driver for the next ride. I was surprised, make that aggrieved, to find that he only gave me a 3.5 bringing my stellar 4.8 rating down to 4.3. No matter how many times the Big Basket delivery man calls me for directions, I give him full marks. The number of stars someone selects is not necessarily an indication of how happy they are with the service they received. The limited point being while there is plenty to celebrate about the democratisation of opinions, reviews, positive or negative hinge on the reviewer’s own circumstances. Somebody who’s woken at 4 am to catch a flight, worked all day and then caught a flight back the same evening will experience it differently from someone returning from a holiday. Yet, we attach disproportionate value to defamatory opinions without making allowances for the motivations of the writer. All these decades, critics for restaurants, movies, and books existed precisely for this reason. They have a professional duty to be subjective. One presumes somebody drawing a salary as a reviewer will take it more seriously, apply seasoned perspective, and can be trusted to provide neutral analysis. There is still some logic to regular folk reviewing airlines or hotels where services are pretty much standardised. Some of the scathing comments on Goodreads is an indication of what creative people in the arts are up against, now that the majority have a booming voice. Consider a two star review of the classic Wuthering Heights: “Vile people are mean to each other. The End.” The same analogy applies to movies and music as well. Complex storylines and tracks are harder to appreciate, and at the risk of sounding patronising, all cultural judgments can’t be by popular vote.